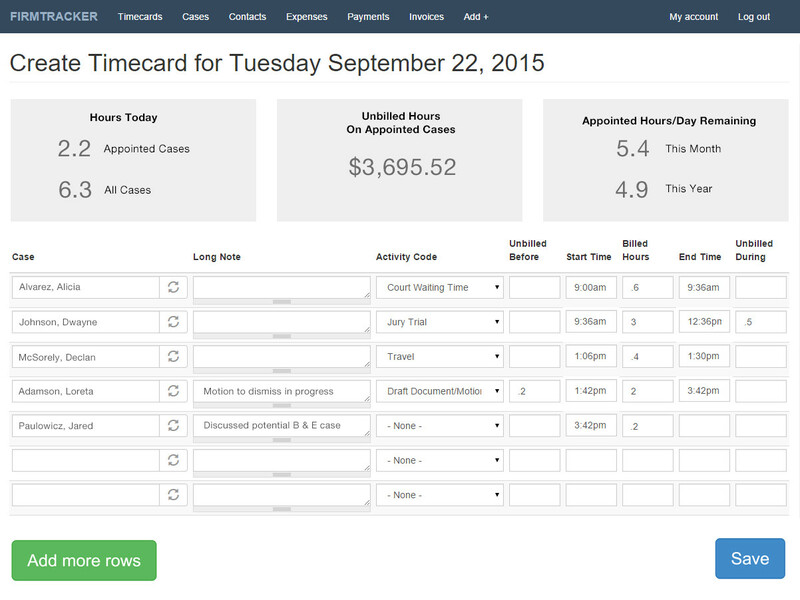 FirmTracker makes tracking cases, billable hours, client contacts and sending invoices and account statements incredibly fast and simple. With a very specific need for law firms to have a quick and simple way to track their case hours to specific state mandated reporting requirements, and with existing generic time tracking tools proving far too cumbersome to run an efficient enterprise, FirmTracker came to us to develop and refine their web app. Working with the startup through our design process, we identified the core features that were needed to effectively meet the reporting requirements while not imposing an undue burden on users. We also worked to identify many “nice to have” features that would have prevented us from meeting the tight go to market timeline and available funding. We proceeded by designing the user experience and developing the minimum viable product for FirmTracker, creating a tool that is impressively fast to use and automates what were previously tedious reporting and billing tasks.